The Pour Moi Rouched V Neck Control Suit is designed with a twisted front to flatter your shape and help you to feel confident. 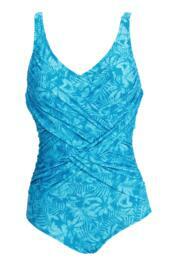 The v neck neckline frames your bust while adjustable straps ensure the perfect fit in sizes up to 22. 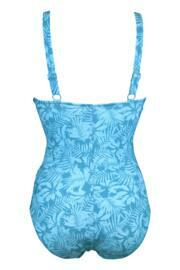 This pretty floral swimsuit is perfect for wearing for your weekly swim after work or at the beach.